It all started with Uber. You hop in a car and get anywhere in metro DC for a small fee. It became known as car share, and the ever so convenient app made it a breeze to catch a ride. Then came the bike shares: hop on, get from point A to point B and then dock. GPS added to the bikes added even more convenience removing the need to dock, and then the bikes added another addition to its fleet: scooters. Scooters (and the scooter sharing companies) are sweeping across the city, but the DC scooter laws aren’t exactly clear to everyone who hops a ride or sees one stashed somewhere on the city’s sidewalk. According to the DMV, electric scooters fall into the category of Personal Mobility Device (PMD). 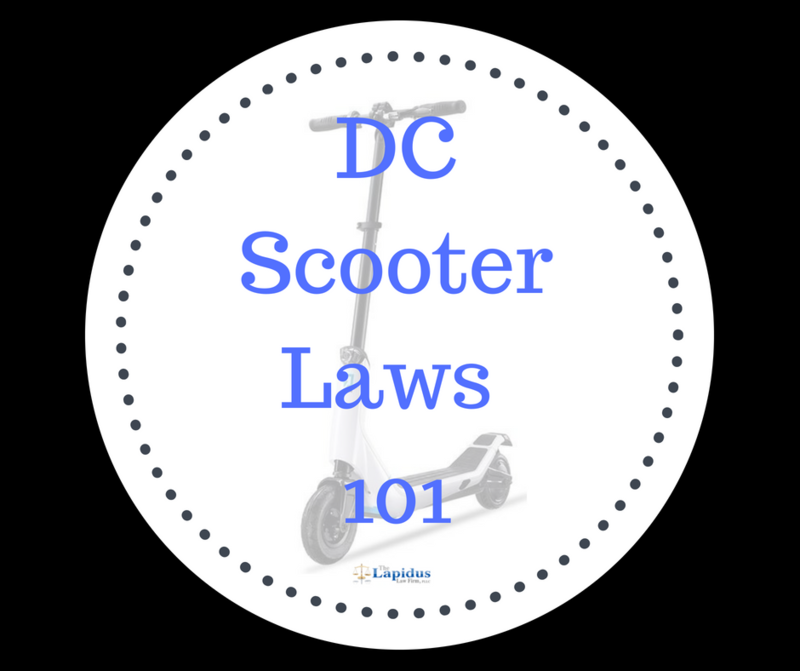 Here is a breakdown of some of the most commonly asked questions regarding DC scooter laws. Are scooters considered vehicles in Washington, DC? No, scooters are not considered to be vehicles. However, scooter operators must be over the age of 16. Are scooters allowed on sidewalks in Washington, DC? 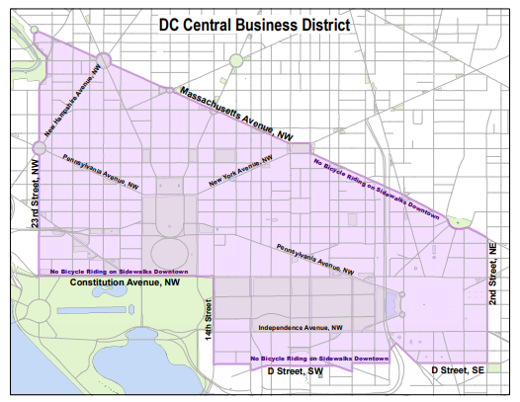 Yes, scooters are permitted on sidewalks in DC with one exception: PMDs are not permitted on sidewalks in the Central Business District. See map for more details. Should scooters be in bike lanes in Washington, DC? Because scooters are not considered to be official vehicles, yes, scooters are allowed in the bike lanes in Washington, DC. Do scooter riders need a helmet in Washington, DC? The DC DMV say scooter riders are not required to wear helmets. Were you in a DC Scooter Accident? The next question is, what happens if you are involved in a scooter accident in Washington, DC? Whether you are the scooter driver or the other person involved, the first step is to assess the situation, and if anyone needs medical assistance, call for help immediately. Be sure to exchange insurance information, take plenty of pictures and next, reach out to an attorney who has experience handling accidents involving scooters.